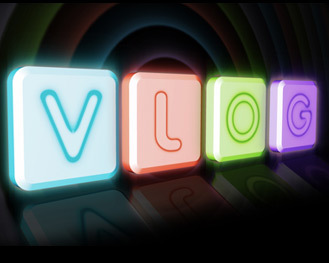 A vlog is a blog with video content and a great tool to add to your marketing toobox. Vlogging is the evolution of blogging and it’s catching on! Our audiences are evolving and embracing this newer format, and thanks to the Internet and improved speeds across the world, videos are much easier to upload as well as view. Ready to jump into this new pool and see if it can work for you and your business and add to your marketing toolbox? someone you relate to and makes you smile naturally). 2. Engage your audience right from the beginning. Welcome and thank them for joining you. Offer a brief idea of what they are going to learn, see, experience, etc. 3. When possible, have a pleasing and non-distracting background. We love to peek into each other’s studios and see how “you do what you do in your space.” But, when on camera, if you have shelving behind you and things propped up on the shelves, sometimes you can look like you have antennae coming out of your head (yes, speaking from personal experience on this one!). Or, people will want to know what “that” is poking out of the container over your left shoulder and lose focus on what you are really there to share with them. Don’t worry about being neat and tidy but do eliminate distractions so people really tune into what you are doing and saying. • Sign up for your YouTube channel or subscribe to your blog where you post content. • Like you business page on Facebook, follow you on Twitter, etc. If you are comfortable, ask for comments in the comment section. This can be as simple as asking what ideas they have for you to vlog about next. 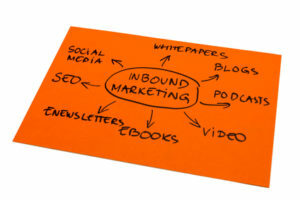 And this not only engages your audience it also helps you build your content calendar. 5. Before posting, add an intro screen with your name, company name, logo, etc. At the end, add an end-screen with your logo, business info including all social-media addresses. You want to make it clear who you are as well as give them more info about you before the video ends. One last tip is to make sure you write good copy when uploading your vlog. Use good key words in your vlog’s description so your video can be found organically as well as by the links you send out via your social-media channels. Have a vlog you’ve done? Please share a link with us in the comments. There’s one tiny detail i’d add: wear one of your own pieces (a “wow” one). People will notice it immediately and will see how wonderful it is and you’ll gain confidence in your work if you yourself are wearing it. P.S. Thank you for all the useful things you share with us!